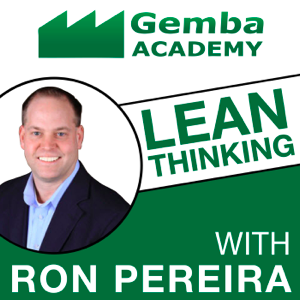 Our VP of Customer Success, Mark Graban, was recently a guest on the Gemba Academy Podcast. Gemba Academy is a formal partner of KaiNexus. Ron: I recently interviewed your business associate Greg, and we’re talking a little bit about KaiNexus; you’re obviously involved with KaiNexus, so, in case folks haven’t heard that episode, give a short clip on KaiNexus. Mark: KaiNexus is a technology company that was founded by the guest you mentioned there, Dr. Greg Jacobson and tech co‑founder Matt Paliulis. What we have is a web-based software platform that helps organizations manage innovation and improvement activity. Everything from identifying problems and opportunities for improvement to assigning and following up on the improvement work. Building teams, tracking what you’re doing, then resolving those improvements, and categorizing and quantifying those results so you can run a bunch of reports and metrics and see what the benefits are of the improvements and give recognition to the people, who were involved. You can listen to the whole podcast and/or read a transcript on their website. Our Co-Founder and Chief Product Officer Greg Jacobson will also be a guest in a future episode - keep your eyes out for link to that here on our blog soon.